Leadership 100 will celebrate its 35th Anniversary with the inaugural worldwide livestreaming of its 28th Annual Leadership 100 Conference and its first time ever with a partner, the Pro Football Hall of Fame, whose channel has over one million worldwide followers. George Veras, Chief Operating Officer & Executive Producer of the Pro Football Hall of Fame, will give the keynote address. Veras, a 10-time National Sports Emmy Award winner and Producer of seven Olympics, will speak at the Business Forum and will be honored with the Archbishop Iakovos Leadership 100 Award for Excellence at the Grand Banquet, according to Argyris Vassiliou, Chairman of Leadership 100. The Conference will take place February 21-24, 2019 at the Boca Raton Resort & Club in Boca Raton, Florida. The address will be livestreamed from 2:00 to 3:30 pm, Friday, February 22, and the presentation of the Award at 8:15 pm, Saturday, February 23, at https://www.youtube.com/user/TheLeadership100, at https://www.facebook.com/leadership100/ and at the Leadership 100 website at http://www.L100.org. The address can also be accessed at https://www.profootballhof.com/hof-channel/ and at https://www.facebook.com/ProFootballHOF/ . Other livestream events are listed below. David Baker, President and CEO of the Pro Football Hall of Fame and Chairman of the Johnson Controls Hall of Fame Village, will attend and give an exclusive interview at the conclusion of the event, which will also be livestreamed (see below). Also attending will be Stephen Schott, a prominent member of the Hall of Fame Board. Stellene Volandes, Editor-in-Chief of Town and Country Magazine, the oldest continually published magazine in the country will address the Saturday Forum and will also be honored with the Archbishop Iakovos Leadership 100 Award for Excellence. 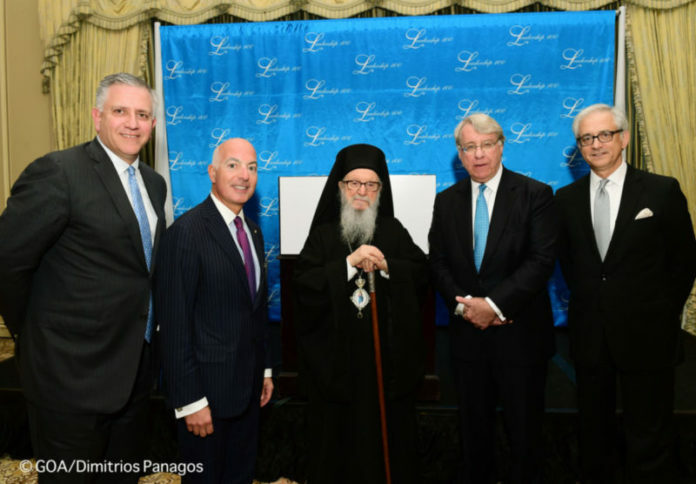 The Award is given in recognition of outstanding Greek Orthodox and Greek American leaders who have excelled in their professions and in their lives. 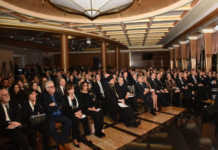 Previous recipients of the Award include George J. Tenet, Senator Paul S. Sarbanes, John D. Negroponte, Melina Kanakaredes, Senator Olympia J. Snowe, Rudolph W. Giuliani, George R. Stephanopoulos, Peter G. Peterson, Ted Leonsis, Jim Gianopulos and Admiral James Stavridis. In addition, Chairman Emeritus George D. Behrakis will lead a discussion on Health and Wellness with two renowned medical specialists: George Dangas, MD PhD, Professor of Medicine, Cardiology and Professor of Surgery at the Icahn School of Medicine at Mount Sinai Medical Center in New York and Harry T. Anastopoulos, MD, Gastroenterologist, Clinical Instructor of Medicine at Harvard Medical School. The Anniversary will be celebrated Thursday evening with a “Concert 35” offered by Aphrodite Daniel’s Synphonia Entertainment featuring renowned Greek vocalist, Dimitris Basis, Daniel herself as vocalist, Achilleas Wastor, virtuoso pianist, and Yiannis Sinanis, bouzouki virtuoso. The full musical program featured on Friday and Saturday nights will also include the Synphonia Band with special guest vocalist Eric Nicolas. The Opening Forum on Thursday, February 21, will feature one of the most prominent ministries of our Archdiocese, The Center for Family Care, whose remarkable work will be presented by its Director, Rev. Fr. Alexander Goussetis and Coordinator for Seminarian and Clergy Couple Care, Presvytera Kerry Pappas. On Friday, February 22, Dr. Ann Bezzerides, Director of Hellenic College/Holy Cross Office of Vocation and Ministry, will speak on Youth Ministry. 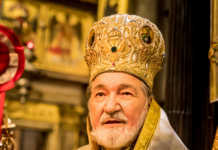 The traditional Bible Study and Lecture will be conducted by His Eminence Archbishop Demetrios, Geron of America. Founded by Archbishop Iakovos with seven Founding members in 1984, The Archbishop Iakovos Leadership 100 Fund, Incorporated, has distributed more than $51 million in life-sustaining grants over 35 years and its membership has grown to more than 1,100. Leadership 100 scholarship grants to Hellenic College-Holy Cross School of Theology have produced 224 priests, 93 others working for the Church and support 47 seminarians studying for the priesthood, annual grants to summer camping programs have aided children who could not otherwise attend, support for youth at Ionian Village and other youth and young adult programs has given guidance to numerous young people, family and clergy care has assisted many couples and families, and dozens of small parishes have been supported. At times of crisis at home and abroad, Leadership 100 has responded with rapid support, in the aftermath of 9/11 and of devastating hurricanes, earthquakes and fires.